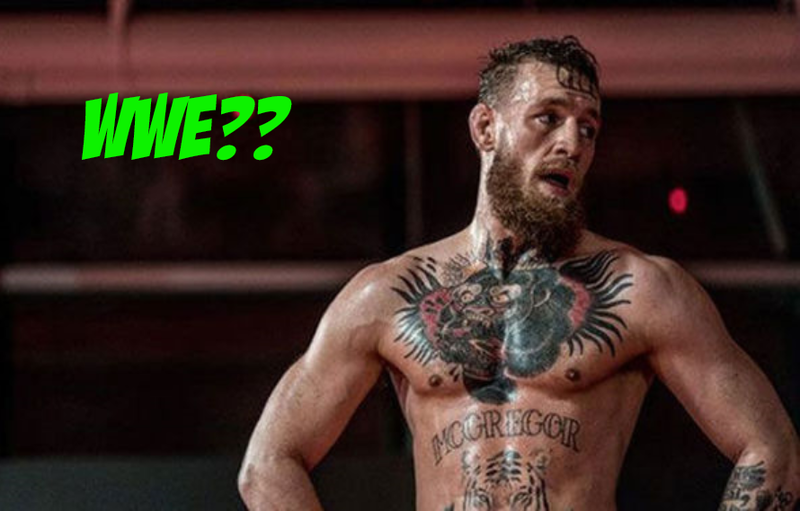 Home MMA News Conor McGregor Could Potentially Move To The WWE! Conor McGregor may be eyeing a move to professional wrestling. At least, that is what he teased recently. Following the main event of WrestleMania 35, Conor McGregor posted to Twitter to give his thoughts on the event. Conor paid his respects to all three ladies who competed in the main event. Although he was rooting for Becky Lynch, someone who had trained with his coach John Kavanagh, he showed admiration for Ronda Rousey and Charlotte Flair as well. At the end of the post, he teased a possibility of him trying his hand at pro wrestling. Conor McGregor has had a tough time in MMA lately, having lost his most recent bout against Khabib Nurmagomedov. Most recently, he retired, then un-retired following a stall in negotiations for a potential summer return to the UFC. Perhaps, this could be considered another negotiation tactic. This is all in addition to his several ongoing legal troubles. It should be noted that McGregor has had a recent trend of posting after most major UFC events as of late. Similar to this post, McGregor will often tweet his thoughts on the event, then tease a possible fight. So whether this is a ploy to keep his name in the headlines, a negotiation tactic, or if he really is considering a move to the WWE, Conor McGregor has plenty of options.